It is not just our patronal festival, but also the anniversary of the first service on this site. In 1829 on 1 December, the first Anglican worship was celebrated here in what was then Большой Чернышевский переулок. St Andrew is someone who can unite us. He points us to the very beginning of the undivided church. He is honoured in both East and West. And of course, St Andrew is not only the patron saint of Scotland but also of Russia. 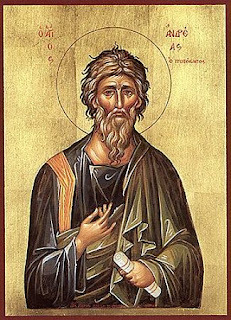 St Andrew is reported in the gospels as being the first of the disciples called by Jesus. I would like to speak today about meeting with God. We come to church, we pray, we have chill moments, but few of us really know God. The amazing thing is that we are invited to come into the presence of God. That is what prayer really is. In the Old Testament, people realised something that we have forgotten, particularly in our Western traditions: you cannot simply rock up into the presence of God. On this day, 100 years ago, at 5 o’clock in the morning, the armistice was signed. It stated that at 11am all hostilities would cease. But fighting continued to the bitter end. On the last day there were 10944 casualties and 2738 deaths, before what we know as the first world war came to an end. On the front, news of the Armistice was met with disbelief that the end really had come, with simple relief, grief for those who had not made it, and with utter weariness. 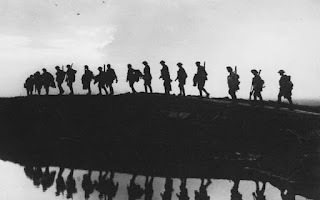 One British colonel reported that at exactly 11am, as the guns fell silent, German soldiers climbed out of their trenches, bowed and walked away. 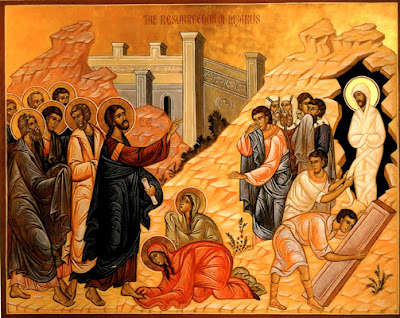 In our reading, Mary – and those with her – look at the grave of Lazarus and they see and they smell death. Jesus looks at the grave of Lazarus, and he sees the glory of God. This is not just about being an optimist or pessimist, whether you see a glass half full and half empty. It is about seeing the world in two completely different ways: it is about seeing the world through human eyes or seeing the world through Holy Spirit eyes. I don’t know whether you noticed how often the verb ‘see’ appears in our passage. And there are other references to seeing and not seeing.